Invesp added a very informative Infograph that shows the importance of reviews for small businesses. Take a look at the additional service when you sign up for the Local Search Engine Optimization Services. 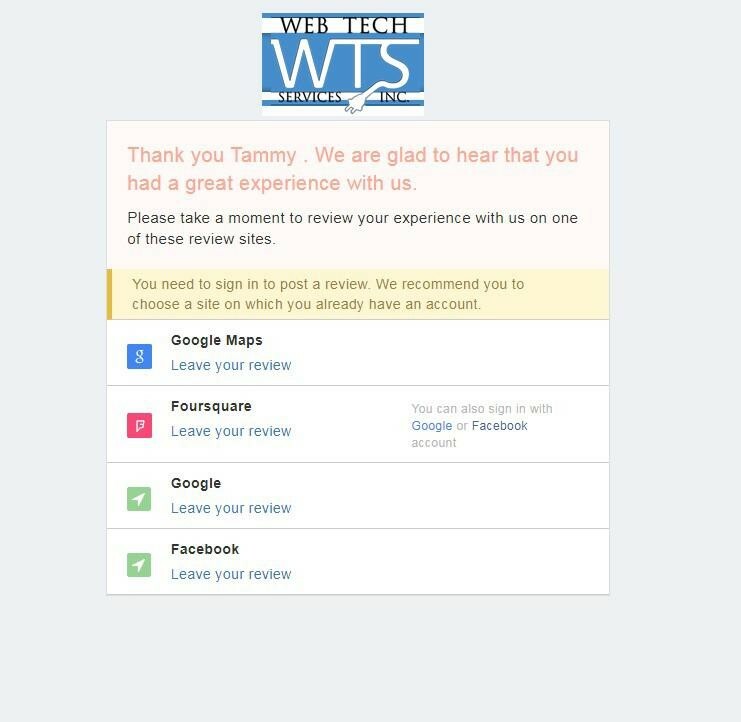 We can actually ask your customers for reviews. Take a look at the screen shots to get an idea of how it works. We are really excited about this new service. Let me know if you would like to know more. If a client chooses a 4 or 5 star rating, they are directed here to encourage a written review.